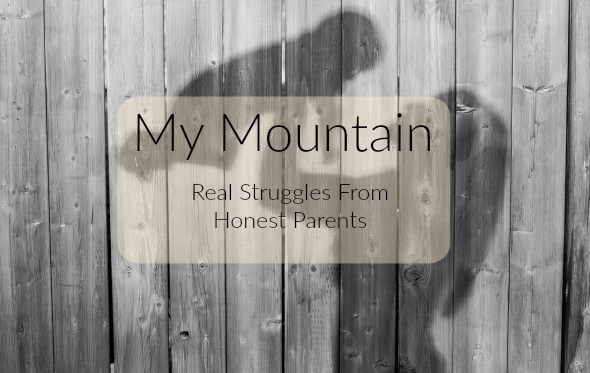 Following the fantastic contributors last year I’m now re-opening the My Mountain series – a guest blogging feature where I invite other parents to share the biggest challenges they’ve faced since deciding to start a family. We’d love to know how you overcame these issues or are overcoming them. The subject matter is wide open. Did you have difficulty getting pregnant? Were you emotionally overwhelmed during those first few weeks? Did your baby have colic and never sleep? Does your child have a disability you had to learn to manage? Maybe you struggle with breastfeeding, weaning, toddler behaviour or being a working parent or a single parent? Or any other issue you would like to write about and/or raise awareness of. Whatever your big parenting challenge I’d love to share your story in this feature. You can find all the previous posts for this series here. I really believe it’s important for parents to get these issues out in the open, and to share advice and positive ideas. Plus, it’s a great opportunity for bloggers to connect with each other. If you’re interested in contributing please email me at butterflymum83@gmail.com with your suggested topic. Previous Previous post: Mobile Monitoring App for Kids – Good Motherhood or a Risk? I’d love to do a post on the challenges of returning to work/attempting to get a decent P/T role. It’s something I feel really passionate about. What a great idea! Sharing on the How Do You Do It? Facebook page. Great idea! I could possibly do something on returning to work or being the only mum who failed at breast feeding in our group. Would that be acceptable? That would be perfect 🙂 When you have had a chance just email 500-1000 words to butterflymum83@gmail.com, along with a brief bio paragraph and links to your blog and social media 🙂 Thank you! Could I do a piece about picky eating for you? What a great idea. Great opportunity for someone. I’ve just sent you mine! What a great idea Laura! I would love to join in. I’m thinking I could perhaps talk about weaning a baby on a milk free diet which is what I had to do with my youngest when he was a baby! Of course I meant ‘going to be a hit’! – which I’m sure you realised. Just realised I said Loving Two when I meant The Day He wasn’t Neurotypical! That was the current one then. I guess it is the latter that you wanted to include? (Though happy with either obviously!) The first in the series is pretty moving. Oh er… I really don’t know? Which one do you prefer? It’s your series 🙂 I am happy whichever you choose! I think The Day He Wasn’t Neurotypical is more of a mountain?! What a great idea. I would offer to include our struggles with colic/reflux but I already wrote a blog post (http://www.arthurwears.com/2015/09/dealing-with-colic-and-reflux-in-babies.html?m=1) which included everything about our struggle and what we tried/what did and didn’t work etc. the feedback on here is ah-mazinggggg!! Can’t wait for this series to start off. Go Laura! I’ve been on the lookout for guest posting opportunities. I will be in touch soon. 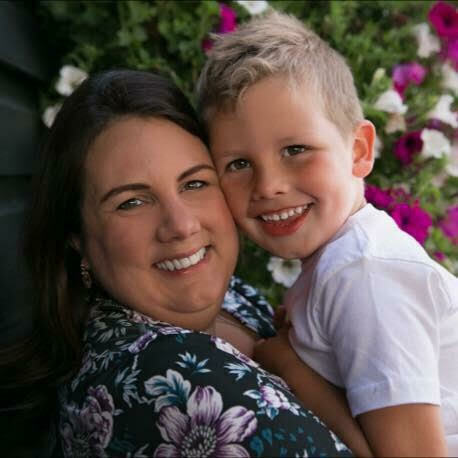 My biggest challenge was transitioning from being a mum to a baby to being a mum to a toddler. I found it was much harder work dealing with an active boy with no sense of danger! I’ve also struggled to find mum friends due to my unique situation living abroad. Expect an email from me sometime today! I’d love to be considered for guest blogging and write about the challenge of parenting when they get to secondary school?? Sounds like a fun series, I’ll have to check some of them out. lost my mobility in my thirties to misdiagnosed juvenile arthritis. After I delivered my daughter at age 38, my hips essentially eroded at the joints. I had to get a Nanny at that point in time and my career tanked, marriage and ultimately my home. My son who is 20, has Aspergers’ or High Functioning Autism. I am also active on the online disability groups where I do get support. My journey has been hellish, amazing, and humorous. I can’t name a crisis that I encountered that cannot be solved. now my greatest challenge due to a gap in services. Housing for a disabled person is hard to find and live on disability. I think most women believe they will always be healthy and that their marriage will last. I also think women to need to plan for themselves financially no matter your circumstances. After the election, I am more convinced of this. I am not here to debate that. I want to help if I can. I do have doctorate in school psychology. I would love to write a piece for you. I am mom to twin girls who were a surprise pregnancy due to the fact that we thought we couldn’t get pregnant. We have struggled through parenthood this far due to the fact that we were late 20s and early 30s when we became parents and then we also had struggles with getting the girls to sleep in their own beds, in their own room, and various other struggles. I realize that everyone’s parenting struggle is different and that not every parent does parenthood the same. Hi Laura are you still accepting guest posts? Love you send you a piece about working from home with twins? well 5 kids, but the twins are (unfortunately) not of school age.